Mention GrabFood delivery and you’d immediately think of a rider waiting at your door with a bag of food. But some riders saw a chance to reach even more people through their line of work. 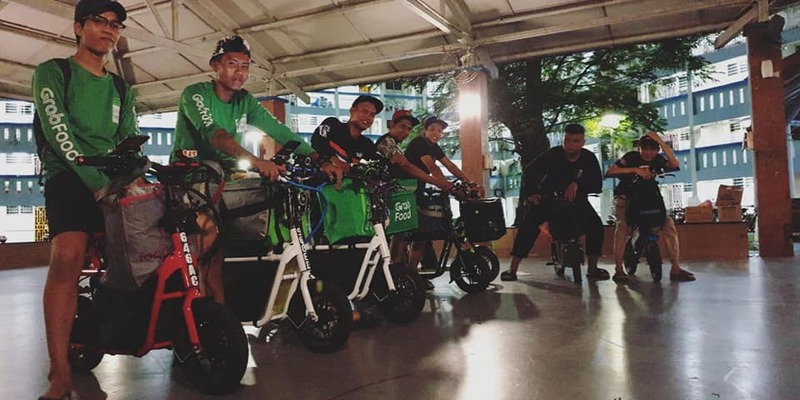 A group of GrabFood delivery riders in Toa Payoh have become an inspiration after they went beyond their call of duty to provide food for the estate’s homeless. 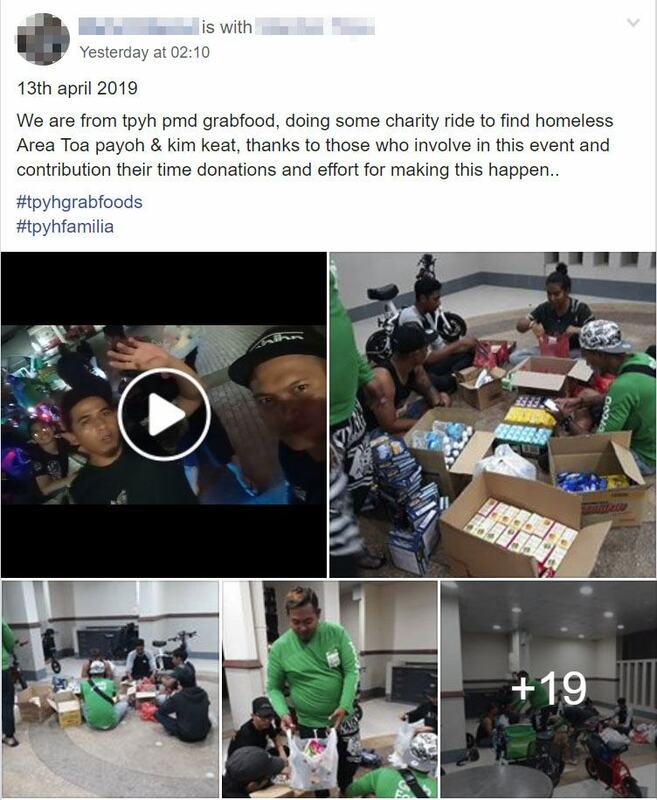 GrabFood delivery riders from Toa Payoh gathered at a void deck on 13 Apr to sort out boxes of food for donations. 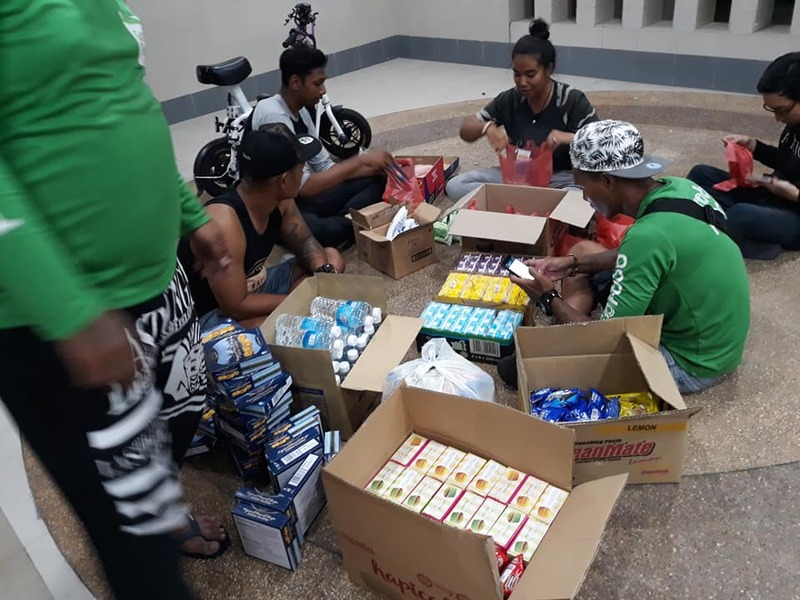 The 10 or so riders had purchased food supplies in bulk to hand out to the needy in the neighbourhood. Supplies appeared to include cookies, water and packet drinks. After packing everything into individual plastic bags, the riders then took off on their Personal Mobility Devices (PMDs) on a charity ride. 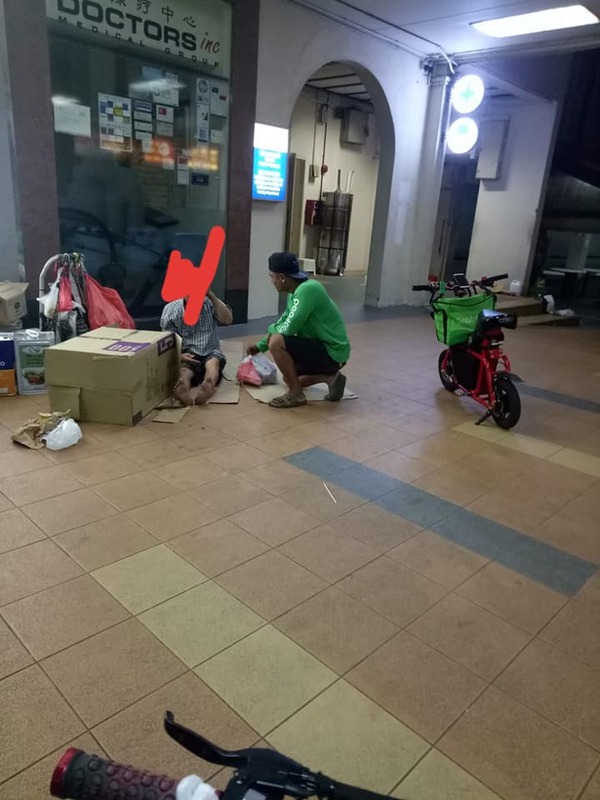 As people were unwinding on a Saturday night, the riders went around Toa Payoh and Kim Keat in search of anyone who looked like they needed help. Their evening rounds brought them to quite a few of these individuals, which highlights the plight of the poor in Singapore. While most of us are complaining about housing prices, the homeless are sleeping on cardboard pieces or thin mats on the floor. 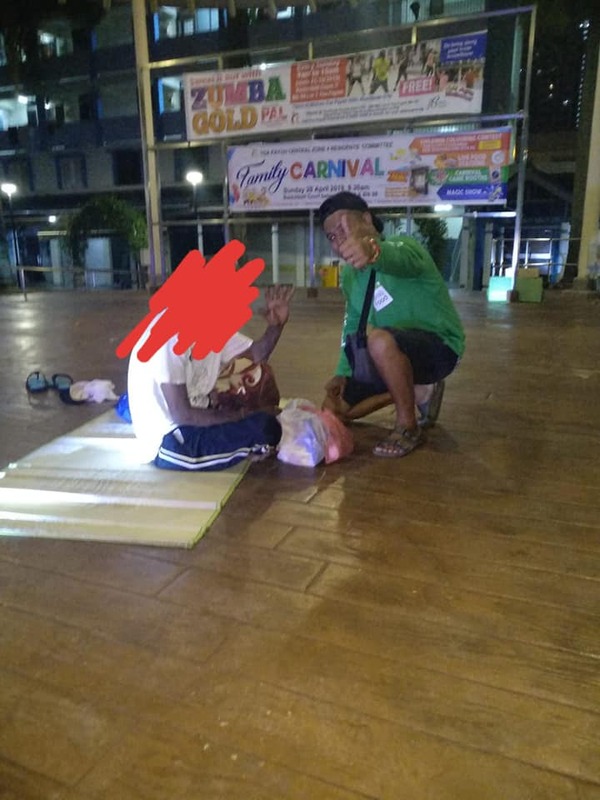 It’s heartwarming to see these GrabFood riders taking time out of what probably was their day off to help the less fortunate. We’re sure that they’ve touched the hearts of the individuals they’ve approached. Apparently, this wasn’t the first time PMD riders had gotten together for charity. 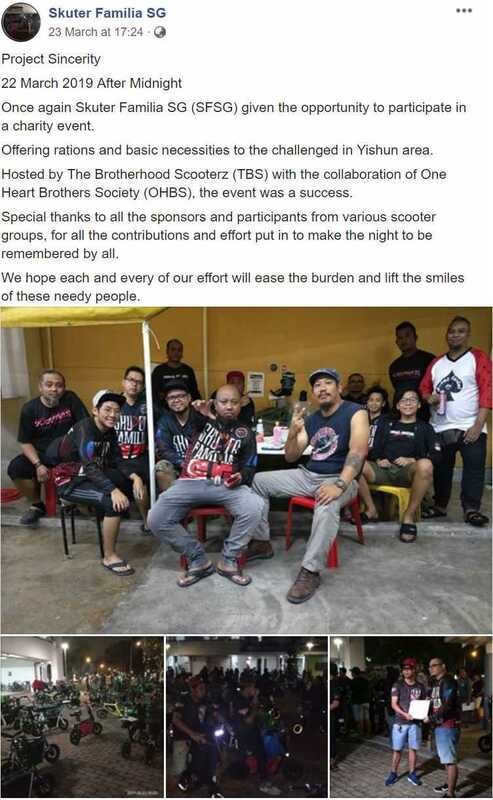 In March, e-scooter enthusiasts from Skuter Familia SG embarked on a similar project entitled “Project Sincerity” in Yishun. There’s even a very well-produced video documenting their experience. These riders regularly participate in charity events around different estates in Singapore whenever the opportunity arises. Few of us can confidently say that we set aside time to help the less fortunate, so kudos to these kind souls for their initiative. 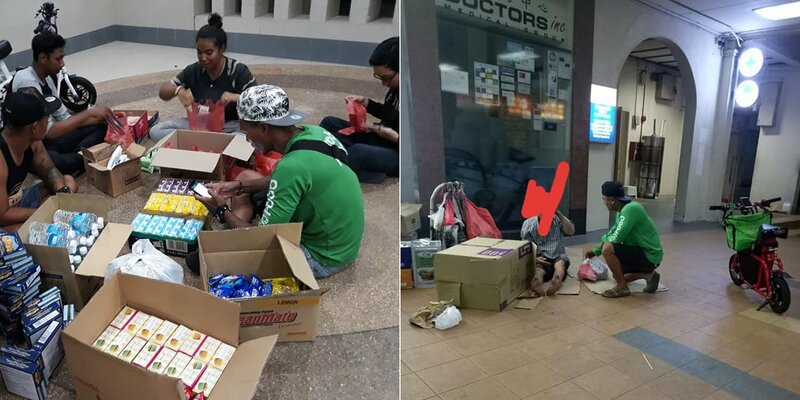 Let’s hope that more Singaporeans will be inspired to do charity work, and not turn a blind eye to people in need.